Catalonia’s independence referendum on October 1 has plunged Spain into its biggest political crisis for a generation. The north-east region’s history of self-rule and trying to split from Spain goes back nearly a thousand years. The few times it has declared independence it never went too far and in the 17th century it ended up losing its northern regions to France as a result. Spain has been more successful in suspending Catalonia self-rule for long periods but in the end the will for autonomy and independence has always emerged stronger. 1060 Ramon Berenguer I, the Count of Barcelona, establishes the Usatges de Barcelona, a set of fundamental laws and basic rights of Catalonia. Legally they were only applied in the county of Barcelona, but in practice they took effect throughout the principality of Catalonia. 1283 King Peter III of Aragon sets up the Corts Catalanes. It is a parliament or legislative council for Catalonia. 1469 Catalonia is integrated into kingdom of Spain, created by the marriage of Ferdinand II of Aragon and Queen Isabella of Castile. The union sees the duo merge their respective kingdoms. Before, Catalonia was in the Kingdom of Aragon and had some self-rule. While it becomes part of Spain it keeps its traditional institutions and works as an autonomous state-within-a-state. 1640 Catalonia has its first and only independence war. It happens when the region rebels against the taxation policies of Philip IV of Spain. Catalonia is briefly declared a republic, under French protection. 1651 After a long siege in Barcelona, Catalans accept the rule of the King Philip IV, who later recognises ‘privileges’ for the region. 1659 The Treaty of the Pyrenees ends a 30 year war between France and Spain and results in the split of Catalonia, which loses the regions of Roussillon, Conflent, Vallespir and part of Cerdanya. The agreement was settled between Castile and France, without input from the Catalan authorities. 1714 King Philip V takes Barcelona after a year-long siege at the end of the War of Spanish Succession. Catalan support for Philip’s rival sees its parliament and traditional liberties later suppressed after the battle is finished. Two very important Catalan symbols emerged from the era. Rafael Casanova who resisted the siege and the commemoration of the day of the defeat, September 11, which is now marked as Catalonia’s national day or Diada. 1812 Catalonia becomes a French region under the rule of Napoleon. 1814 King Ferdinand VII later takes Catalonia back, expelling the “afrancesados”, the Spanish who were in favour of French rule. By this time Catalonia, together with the Basque Country, are the most dynamic economic regions in Spain. They follow the Industrial Revolution happening elsewhere in Western Europe. This prompts a renaissance of Catalan culture. Modern political “catalanism” is born. The rest of Spain is busy in different succession wars, and losing the last bits of its empire. 1901 Creation of the Regionalist League of Catalonia, a right-wing party that was conservative and Catalan nationalist. 1914 The Regionalist League party succeeds in negotiating with Madrid the creation of the Mancomunidad of Catalonia or Commonwealth of Catalonia. 1931 Spain becomes a republic and the Generalitat de Catalunya, an autonomous Catalan regional government is created. A year later the first statute of autonomy for Catalonia was drafted. 1934 Lluis Companys, the president of Catalonia’s regional government, declares the region as a state within the Spanish republic. It prompts the Spanish government to suspend Catalan self-rule and the arrest the government. 1938/39 Franco’s forces overrun Catalonia and resistance to him collapses elsewhere in Spain. Companys flees to France but is later executed by the Spanish regime. During Franco’s dictatorship, which lasts until 1975, Catalan autonomy, language and culture is suppressed. 1979 Four years after Franco’s death, Catalonia’s modern self-rule is set in motion with the approval of the statute of autonomy. Josep Tarradellas comes back from exile in France to head Catalonia’s regional government. 2006 Catalonia’s statute of autonomy is controversially reformed, giving the regional government greater powers. This – and the fact four years later Spain’s constitutional court struck down part of the reforms – is widely considered at the heart of today’s troubles. 2012 One-and-a-half million people take part in Catalonia’s annual national day rally in Barcelona amid growing anger at the amount of money the region pays into Madrid’s coffers. 2014 More than 80 percent of those taking part back independence in a non-binding referendum. 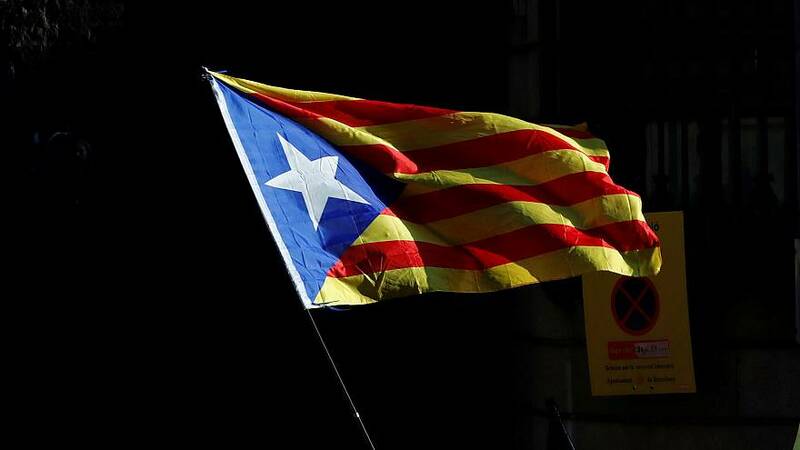 2015 Separatist parties win regional elections called to gauge support for a possible declaration of independence. 2017 Artur Mas, a former Catalan leader, is banned from public office for two years for organising the 2014 referendum. In October the region goes ahead with a referendum on independence despite fierce resistance from Madrid.